With the use of Cloud services, we mustn't skip the all-important securing of sensitive data. Many web services and the apps build from them process sensitive information -- we have the need to securely store and retrieve that data. One easy way to accomplish this (at least when using Amazon's cloud services) is to use a client-side Java app that automatically encypts data when it is uploaded to the cloud. In the case of AWS, your data is stored encrypted in Amazon S3 in such a manner that no one can decrypt it without your private encryption key. The developer controls the private encryption keys used for the enciphering, and those keys are never exposed outside the client-side application. Of course, it is up to you to protect your encryption keys just like any other security credentials. The AWS client is a handy way to easily protect information residing on the cloud. Implemented properly, a developer may call the encryption/decrypt routine without other code having to be aware that the encryption and decryption is happening automatically in the client. This approach is very different from ones based on historical models -- such as ones based on the operations of the infamous Enigma machines. The technology, patented in 1919, has been utilized for almost 100 years. On a typical Enigma machine, letters are scrambled by a set of rotatable cogs each with 26 contacts on either side. Each contact on one side is wired to a contact on the other side in some random fashion. Some models have 3 such rotating wheels, but later models in the war, have 4 wheels. This type was used exclusively on German U-Boats. Each time a key is pressed, the right most wheel is rotated by one step, resulting in a different mapping of the internal wires. As a result, each new letter is encoded differently. Check out this fellow's work on a spreadsheet version of a well-known WWII encryption technology. This solution was used for many years after the war (and after it was compromised) by other parties. You can read more about the Enigma machine. If you want to implement your own encryption approach based on the Enigma, this online course will get you started. Did you get a disaster recovery plan for the New Year? So we are approaching the end of the first quarter of 2012. How are your new years resolutions coming along? Still hitting the gym? Off the smokes? What about that disaster recovery plan your organization was lacking, when old Saint Nick came around? Traditional disaster recovery planning usually involves a hot site with duplicates of all your IT and network infrastructure -- and there's the direct and indirect costs of staff relocation, logistics and more. When your business continuity plan calls to run as usual when disaster strikes the primary data center, a hot site is mandatory. But such planning brings challenges in terms of complexity and cost. And executing your plan involves a complete set of processes with all components being tested regularly. have you considered the cost of unplanned downtime? If downtime occurs, how much it will cost? How long will a recovery will take? My advice: use what works, and borrow best practices from agile software development/ Come up with a prototype and put the plan in action, learn from it, and go back to to re-work the next iteration. Spending a year studying what to do is foolhardy; attack the problem with a series of end-to-end sprints that allow your plan to evolve. You will know you've reach reached close to the end-state and built a better solution with each new iteration, which will require planning and execution. Like a software development sprint, deliver something every three months and involve all the stakeholders. Your planning should cover moving the data you need to your recovery cloud, to ensure you have it available when you need it. Since we are talking technology here, make effective use of automation tools. Amazon's cloud provisioning, workload automation and process automation are good examples of the facilities you can tap today, so your organization can recover quickly, using tested and proven processes, with a clear audit trail and avoiding human error. Inc. has a good article about this exact strategy... worth looking into. Any plan is better than no plan, and the cloud makes backups all the easier. 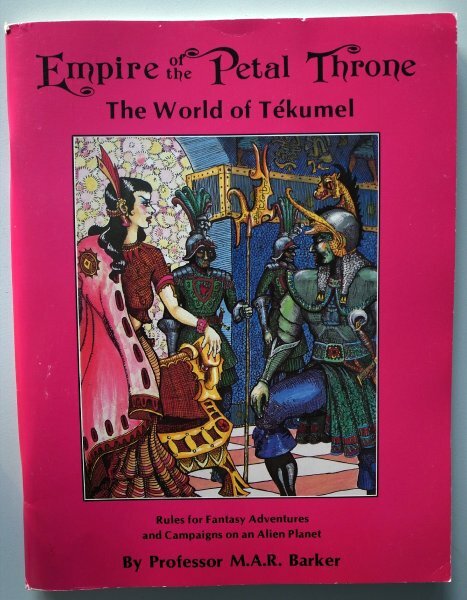 One of my favorite alternate D&D campaign / worlds. And an ok novel. I liked alot of his stuff, too bad time claims all. Except the immortals! 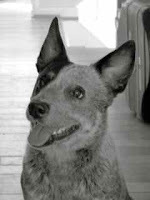 It's no secret that the mascot for Bluedog hangs around the offices. After all, she has to earn her dog treats. Rebecca Johnson, director of the Research Center for Human-Animal Interaction at the University of Missouri's College of Veterinary Medicine, reports: dogs in the workplace are "a growing phenomenon" in America. "People are realizing we need to do things to reduce stress in the workplace," she said. Dogs can build connections among co-workers and create a healthy diversion from work, Johnson said. People interacting with dogs experience a hormonal reaction that causes them to "feel more relaxed and more positive," she said. At our facilities, dogs are prohibited from certain rooms -- eating areas and restrooms. And we only allow only dogs who get along with people and other animals. Here's some excellent tips for having your pooch or hound at the workplace. I happen to agree with The Economist's assessment, having been a dog-at-work advocate since my first company, Enigma. Back then, ACDs were not as well known around Ireland (and Silver Spring), but they still made people feel at home, at work. I find myself writing as much as coding these days. Since most of my coding is split between Java (WebObjects) and Objective-C (for iPhone/iPad), I have a tendency to lag when it comes to operating system upgrades. Nothing causes more headaches than your dev environment's Java version getting rev'ed right in the middle of a big project. So when I'm writing proposals, working on my next book, blogging, or just working on a cool D&D campaign idea, I find myself using my iPad more and more. Of course, a keyboard/case combo helps quite a bit, but nothing beats a nice screen (easy on the eyes), light weight, and long battery life. I wouldn't give up my MBP for anything, except maybe a MBA. Not that MBA, but the super-cool lightweight workhorse that I'll be developing Workbench 2.1 on. Judging from many comments on the BBC's article on Warhammer 40,000 (40k), many Brits have not realized that nerds have conquered (I'm thinking Bill Gates, Steve Jobs, etc.). All the commenters' negative remarks about infantile, nerdy, etc., demonstrates a complete lack of perspective. Imagination is how we improve, even excel. Disaster response is baked into the Japanese psyche, as we can see from the amazing post-melt-down, post-tsunami reports on the anniversary. But Japan has a whole lot more to offer, including how a society can be polite without a top-down command-structure, and how to continuously improve, in business and personally. Of course, the onsen is one of my favorites, and why hasn't the world adopted the Toto toilet wholesale? According to a new IDC white paper sponsored by Microsoft., cloud computing will generate millions of jobs, especially from small-to-medium size businesses (SMBs), over the coming years. The market review, entitled “Cloud Computing’s Role in Job Creation,” forecasts 13.8 million new jobs from public and private cloud IT services worldwide by 2015 – with half of those expected this year – and cloud revenue reaching $1.1 trillion over that same time period. Of those anticipated hires by 2015, IDC expects more than half (7.5 million) to come from enterprises with 500 or fewer employees. Prevailing thinking from the research firm is that SMBs have fewer ties to legacy systems and more limitations with IT budgets compared with their larger competitors, leading to a pool of indirect IT job growth. Our robot overlords are getting speedy. 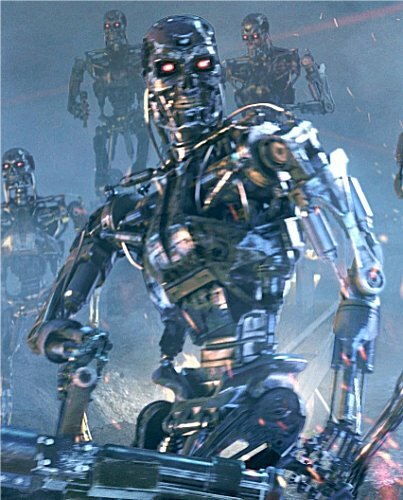 As Slate talked about, "Terminator: Salvation, the fourth installment of the Terminator franchise, takes place in 2018, a number of years after an artificial-intelligence network devised by the U.S. military, called Skynet, has turned on its masters and set off a nuclear war. The sentient computer now controls an army of killer robots tasked with hunting down and killing every last member of the human race. It's Hollywood popcorn at its best, if not for the scary fact that the movie touches on some very real trends in modern military technology." Of course, the promise of robots continues to linger, without fruition. I want my robot butler to do my bidding, or at least my laundry. Apple an employment powerhouse? The San Jose Mercury News reported on claims by Apple that it has directly or indirectly created 514,000 jobs in the United States through its gadget ecosystem. The company, which used data crunched from economists at the Analysis Group, placed the job creation in two categories. The first comprised 304,000 jobs, including software engineers working at the Cupertino, California, company's campus, workers in Texas who manufacture processors for Apple devices, Corning employees in Kentucky and New York who make glass for the iPhone, and United Parcel Service and FedEx workers who deliver its products to customers. The second category comprised 210,000 independent app developer positions that exist as a result of the company's iPhone and iPad devices. Separately, the company said it has generated more than US$4bn in business for developers who make apps for the iPhone and iPad. Before 2013, Google says it will be selling what it terms Heads-Up Display glasses. These "Google goggles" will include gps, a navigation system, and will stream live information -- essentially providing an overlay of the real world complete with data about one's surroundings and friends in the vicinity. The heads-up glasses are part of a broader technological movement towards an augmented reality where the outside world is merged with data from the Internet. New types of socially-driven, personalized technologies (think Apple, FaceBook, etc.) are pushing the bounds of privacy, but in the long term one hopes that that these technologies will both add value while straddling that line between privacy concerns and crowd-sourced benefits. I have found that mass customization as the basis for building lasting customer relationships, and, on the internet, that means using a customer relationship management (CRM) solution. I recommend to my customers who want to leverage the internet for something really useful: get automated with customer service! Mass customization is the perfect way to bridge the gap between cost pressures and customer-specific requirements. This strategy combines customer-specific services with the efficiency of mass production. Customer relationship management (CRM) systems are typically associated with big businesses, and this has been the case for a while. CRM systems usually require a ton of maintenance and upkeep, and they have high costs and difficult installations. But a new breed of CRM vendors are changing the rules and offering CRM systems (usually Web-based software-as-a-service SAAS models, with zero install or IT department needed) that are targeted at small business. A CRM system is much more than a fancy contact management system -- features like order status change notifications and contact reference numbers are usually standard. Combine with CRM’s other uses, and it is well worth the minimal investment of a CRM for your organization. While no one is a big fan of automated replies of the “Your email is important to us” variety, one valuable purpose they can serve is to provide a reference number for the incident or contact. Even if you do not use anything fancy for this, giving customers some sort of number to refer to is an important part of being able to follow up with them (or for them to follow up with you). It also helps ensure that when you talk to a customer, you both know what the call is in reference to. Automated systems often get a few things right -- like status change notification emails. Keep your customer in the loop, as you work through an issue. Nobody likes surprises, and an automated notification solution makes this headache free. Keep your customers in the loop and they will be less likely to start looking at other vendors or canceling orders. Many e-commerce solutions offer this functionality, so it’s worth checking the documentation. If your system doesn’t offer such a feature, make a habit of sending emails manually, or scripting something on the side. At the end of the day, there is no way that the quality of customer service can exceed the quality of the people who provide it. Think you can get by while paying the lowest wage, giving the lamest benefits, doing the least training for your staff? It will show. Companies don't help customers; people do.